1500 Currents Affairs Past Questions and Answers | Download PDF for Free. Nigerian Currents Affairs Past Questions… The CSN Team recently gathered that many Nigerian citizens have failed to succeed in their screening exercise due to lack of awareness. To solve this challenge the Team has decided to present to the public a monster list of Nigerian Most Repeated Current Affairs Past Questions and Answers for Aptitude Test and Job Interview. If you are expecting any screening being job, admission and scholarship interview, you can use this and increase your level of preparedness. #8. What does the white colour in Nigerian flag stand for? #9. What does the green colour in Nigerian flag represent? t with the Nigerian society ? D) portfolio designates. Of the party in opposition. D) membership of internation organisation. took place when he was attending which important event? 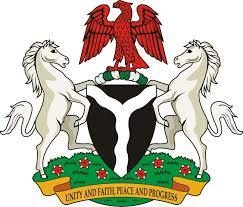 50 Question and Answers about Nigeria.